This year, the Chicago Botanic Garden commemorates the 125th anniversary of the Chicago Horticultural Society, which created the Garden and manages it today. 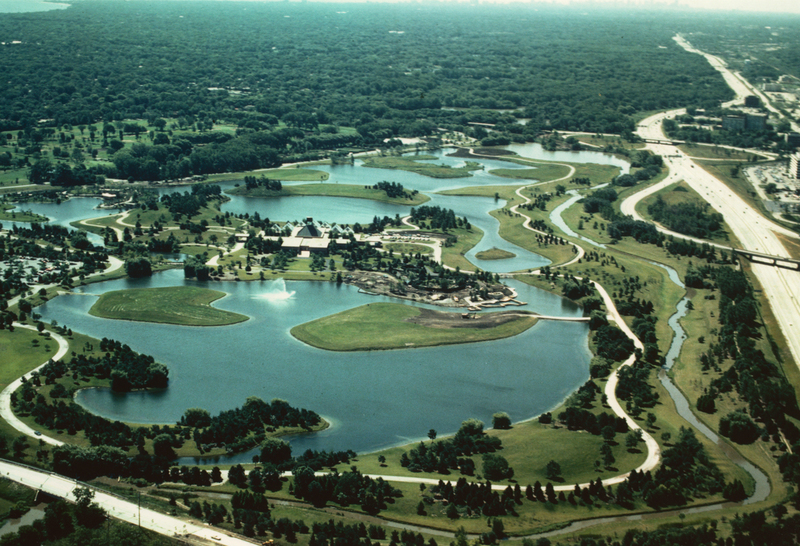 The roots of the Chicago Botanic Garden run deep. Ground was broken in 1965 and the Garden opened in 1972, but its underpinnings can be traced to 1890, when the Chicago Horticultural Society was founded. To celebrate the Society’s 125th anniversary, the Garden is featuring two special exhibitions, lectures, and the launch of a commemorative book, Chicago and Its Botanic Garden: The Chicago Horticultural Society at 125. The exhibition Chicago and Its Botanic Garden: The Chicago Horticultural Society at 125 is open May 2– August 16 in the Joutras Gallery. 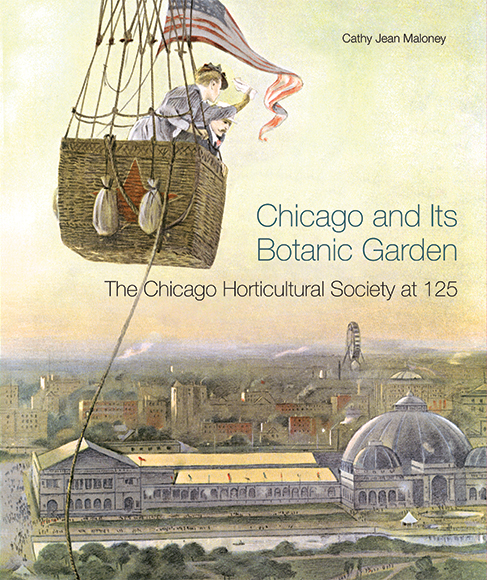 Chicago and Its Botanic Garden: The Chicago Horticultural Society at 125 is now available. Click here to purchase online. 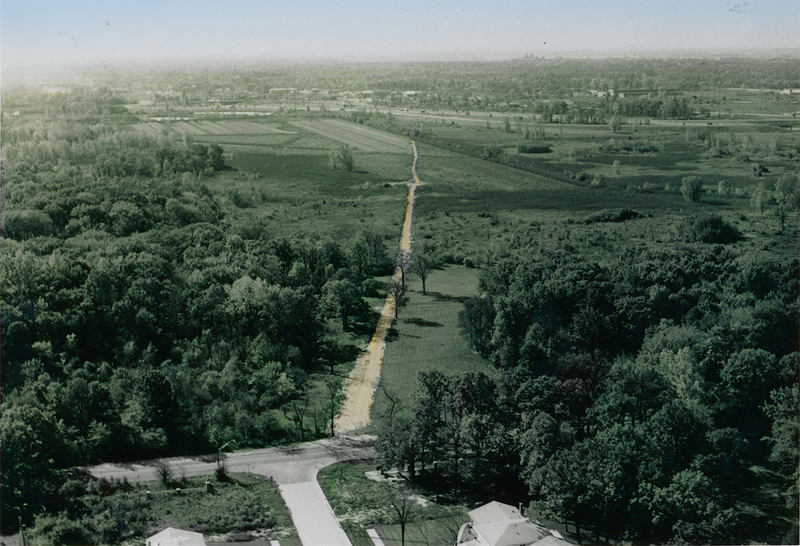 The Society shaped the future of Chicago through a series of public-private partnerships. During the 1890s, the Society included many influential businessmen who were also avid gardeners. “At that time, local civic leaders helped individual nurserymen do research,” said Cathy Jean Maloney, a Chicago-area garden historian and author. “This was well before the days when big companies could do their own plant research.” Maloney spent more than two years researching and writing the commemorative book. 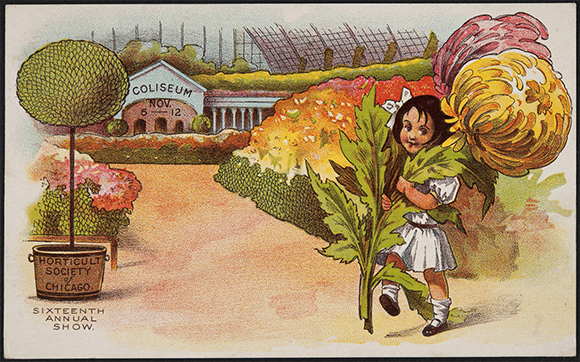 The Society hosted nationally recognized flower and horticultural shows, including the World’s Columbian Exposition Chrysanthemum Show, held in conjunction with the world’s fair in 1893. Spectacular arrangements of cut and potted flowers were also displayed alongside artwork and sculpture at the Art Institute of Chicago. “It was the marriage of flowers and horticulture with artistry,” Maloney said. “Wealthy individuals would send floral specimens by railroad from as far away as New York. For people in the Chicago area, that was astounding.” One fall flower show in 1899 drew more than 15,000 visitors. Midsummer in the English Walled Garden is a feast for the senses. Research for the exhibition, lectures, and book was conducted at several institutions including the University of Illinois-Chicago and the Chicago History Museum, at local historical societies, and within the Garden’s Lenhardt Library. The library maintains a Chicago Horticultural Society archive that encompasses 250 feet of shelves and cabinets and includes newspaper clippings, letters, and other ephemera, but the gem, according to library director Leora Siegel, is a Society ledger filled with the spidery, elegant penmanship practiced by the Victorians. “We have some printed materials of early Society meetings that are just wonderful,” Siegel said, “but our magnificent ledger covering 1890 to 1904 is the prize.” A recent grant will allow the ledger and other fragile documents to be digitized so that they will be freely accessible online. The library exhibition Keep Growing: The Chicago Horticultural Society’s 125th Anniversary is open through August 16 in the Lenhardt Library. The book is available for purchase at The Garden Shop. “The 125th anniversary is a wonderful time to celebrate the people who advanced the Society and its accomplishments throughout its history—and the impact that the Society has made on the Chicago area and the world,” Jarantoski said.